Where Else Can I Look? Important: This site is under active development by NHS Digital on behalf of INTEROPen and is intended to provide all the technical resources you need to successfully develop the Care Connect APIs. This project is being developed using an agile methodology so iterative updates to content will be added on a regular basis. The challenges faced in this approach about creating and subsequently maintaining the data mapping between the FHIR server and the database tables. 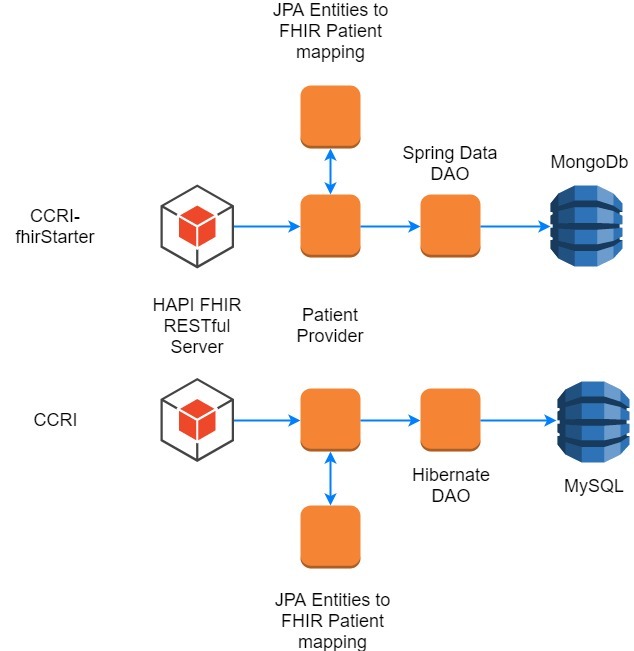 A common design pattern to build a connected FHIR server is shown by the Care Connect Reference Implementation, CCRI. The CCRI showed a FHIR Server implementation on top of an existing database structure. Thus showing the three elements described above i.e. a Care Connect FHIR Server on top of a SQL database using a HAPI RESTful Server with data loading. If you want to build your own then see more by clicking here. Another approach is to use the FHIR profile structure to store the information directly as documents. This approach can quickly show the main elements of a FHIR server without the complexity of creating, mapping or maintaining a database structure. Using a document data store like MongoDB. Then connect the Pre-requisites together. Mongo - accept the default installation (port 27017 with no security). If you have docker installed you can alternatively use the Mongo image from docker instead. Optional: In addition you may wish to install Mongo Compass to explore the data. This will allow a fast way to populate, store and retrieve data from a FHIR servers via POST completed FHIR resources and is the simplest method for HAPI and Vonk to load data see inforation from a FHIR server. 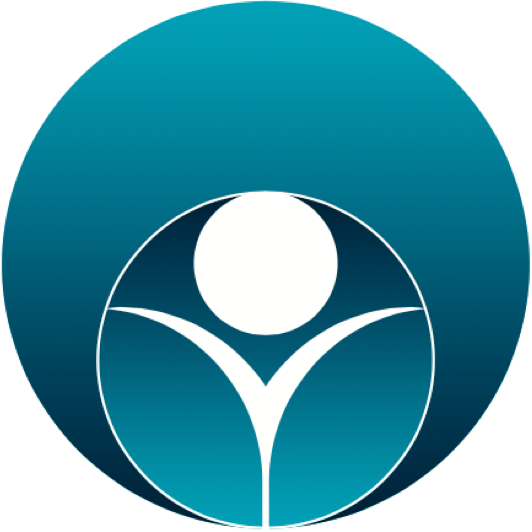 To see combined information with more meanignful test data and please see the live Care Connect Reference Implementation (CCRI). This used ETL: Extract Transform Load and test data linked, however, is a more complicated starting point to explore FHIR. The live Care Connect Reference Implementation (CCRI) does not support POST operations, however, for local installs POST FHIR Resources could be created and used. The CCRI’s connected database structure is similar to a PAS/EPR SQL database and as such ETL tools such as Microsoft SQL Server Integration Service (SSIS) can be used to import the data. Note: CCRI uses Hibernate ORM to store its data in MySQL. The use of Hibernate means CCRI should run on other SQL databases that Hibernate supports. A list of databases supported by Hibernate can be found here. CCRI has not been tested against these databases and may require minor changes to installation SQL scripts to work. In your browser navigate to the Care Connect Examples project, which contains the FHIRStarter module and then Clone or download the project. Note: Ensure the datastore has started i.e. MongoDB. Within your IDE (IntelliJ or Eclipse) import the project. On IntelliJ (windows) select File->New->Project from existing sources. The screenshot above shows how to import the FHIRStarter module, however, you can choose to import the whole project. Please then ensure to import the module as a Maven project and then accept the defaults in the remaining screens (unless you have a prefered setup approach of course). On IntelliJ select spring-boot:run from the Maven Projects menu. On Eclipse in the Project Explorer, right click the project name -> select “Run As” -> “Maven Build…” In the goals, enter spring-boot:run then click Run button. You should see a FHIR ConformanceStatement returned from the server. The ConformanceStatement shows the server supports FHIR Patient and the Create operation. Then copy a FHIR Patient into the Body section. The response Status should be 201 Created which indicates the Patient has been added to the server. If you installed MongoDB Compass you will be able to view the Patient that was just added. The patient document is very similar to the FHIR Patient we posted into the database. It’s not the same for two reasons, firstly MongoDB uses BSON although this is very similar to JSON it has a few differences. Secondly we’ve not just converted the XML/JSON FHIR Patient to BSON, we have used Spring Data JPA Entities which allow us to simplify the search operations that are add later in this guide. Note: Congratulations the majority of the installation and configuration is now complete. You have created a FHIR Server using a NoSQL Document database that supports FHIR Patient. The diagram shows a similar resource storage process and that both projects are composed in a similar architecture. However, the diagram shows the CCRI and this example project are using different database technologies, MongoDb a NoSQL database rather than a MySQL a SQL database and also different object mapping technologies: Spring Data MongDb instead of Hibernate ORM. Tip: When you complete this guide you should try following the CCRI install guide and mapping to your existing database. The HAPI RESTful Server is common to both projects. The configuration of this server can be found in the fhirStarterRestfulServer.java shown in the diagram below, configuration is described in more detail on the HAPI Server - REST Server website. The highlighted section shows the PatientProvider which is used to tell the HAPI Server that we support Patient and also where the implementation is. This is also where you can add in security, set default the server to use XML or JSON as default and many other options. Tip: CCRI contains several FHIR Servers using a variety of different configurations including security (SMART on FHIR) and interceptors. The Patient provider is where the FHIR Patient behaviour configured. HAPI uses annotations to indicate what service the procedures provide. The procedure createPatient in the diagram is annotated with @Create which indicates it handles POST/create. This procedure then uses a PatientDAO (DAO - data access object) class which uses Spring Data to persist the Patient resource in the MongoDB. For the sake of simplicity this guide does not cover the DAO class as this is specific to the implementation but an example is provided for you to explore. Tip: If you are creating a FHIR Server using your own database, you will need to create your own DAO. Note: Congratulations you now have a FHIR server which accepts FHIR Patient resources as well as a clearer understanding of inner FHIR server workings. Next we will add reading of the Patient resource. The DOA and code for @Read is provided, uncomment the @Read procedure and restart the server (mvn spring-boot:run), i.e. Find and then remove the comments. Note: We have an issue here. The profile being returned is the base FHIR Patient profile, for Care Connect this should be https://fhir.hl7.org.uk/STU3/StructureDefinition/CareConnect-Patient-1 but we are using the default ConformanceStatement from the HAPI server. We do override this in the CCRI server and the resources returned by this server are using the Care Connect Patient profile. Or from the POST we did earlier in POSTMAN in the Location header from POST response. The response is in JSON format but if we wanted XML we can use the _format=xml parameter, e.g. This is supported out of the box by the HAPI RESTful Server. We have also provided a @Search method, locate plus uncomment this and restart the server. Note: This has been an overview of the HAPI RESTful server and was kept basic in order to show key aspects. careconnect-document: is a basic repository for storing FHIR Documents together with a simple Angular2 FHIR Client App. This application adds a document index to the Patient index we have just built and provides storage for FHIR Documents.